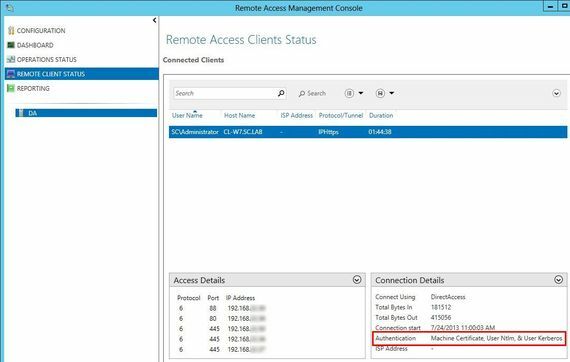 In previous parts of this series, we configured DirectAccess on Windows Server 2012 (in core edition because that's fun and good for security !). So now everything works ? Yes ? Perhaps, no ? 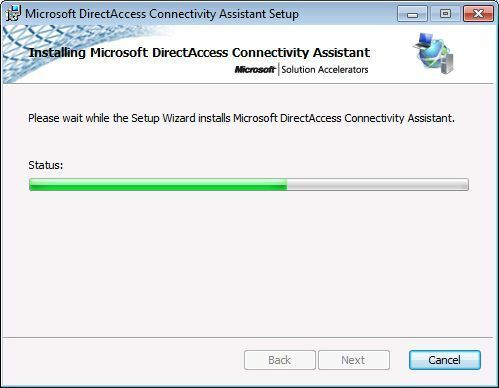 ... That's right that DirectAccess is not always easy to troubleshoot. In that article, I'll provide my feedbacks, my recommandations and my ideas to troubleshoot your environment. You now know that DirectAccess relies on IPv6. So what's different with IPv4 ? Address are not 32 bits long, but 126 bits. That's all ? No IPv6 changes everything. Even ARP protocol is removed and replaced by ICMPv6. - IPv4 compatible addresses: the 64 last bits look like 00:00:WX:YZ (where w.x.y.z is the dotted decimal representation of an IPv4 address). You certainly understand better now what you see ! TcpView is also a great tools but for advanced troubleshooting. 2. IPv6 arrives !! Client negotiates tunnel with HTTP protocol. Question: What is fd5a:b763:7c6b:7777::c0a8:xxxx address ? and C0A8:xxxx ? C0=192 A8=168... Obviously... that corresponds in hexa to the IPv4 address of my Domain Controller !! DirectAccess Server translates in IPv6 format a IPv4 address. 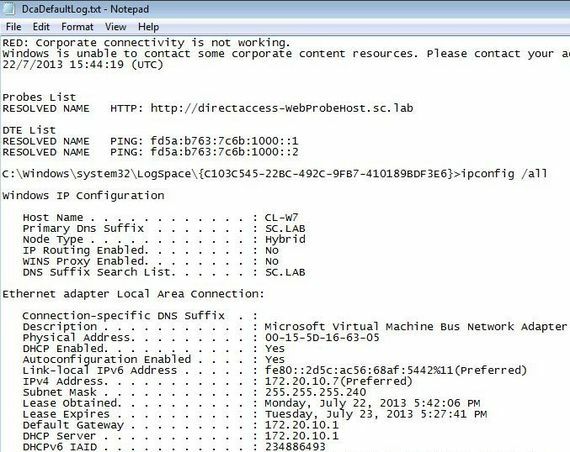 This is the mechanism used by directAccess to work with your IPv4 corporate network. 4. You will certainly see other connections with other devices. 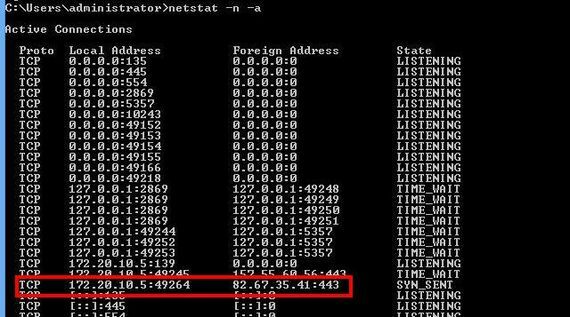 You know now how to determine the IPv4 of the target device with the IPv6 address used. 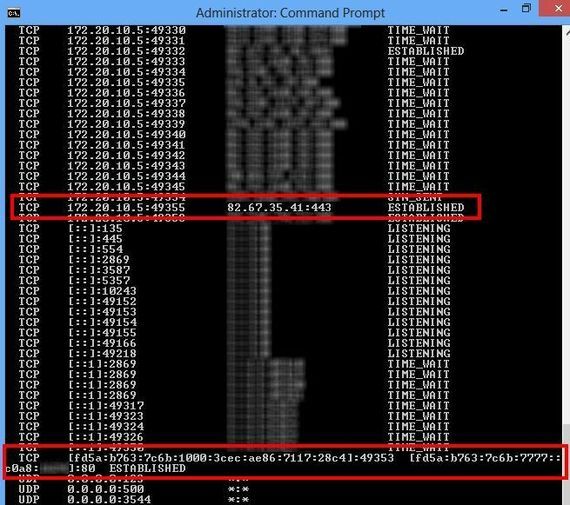 Now that you know IPv6 and the connection process, Let's start troubleshooting ! 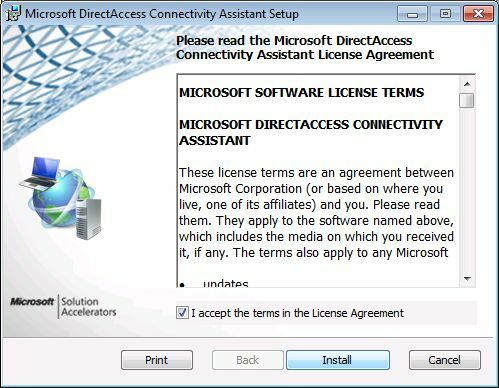 DirectAccess connection is handled by the firewall Service. 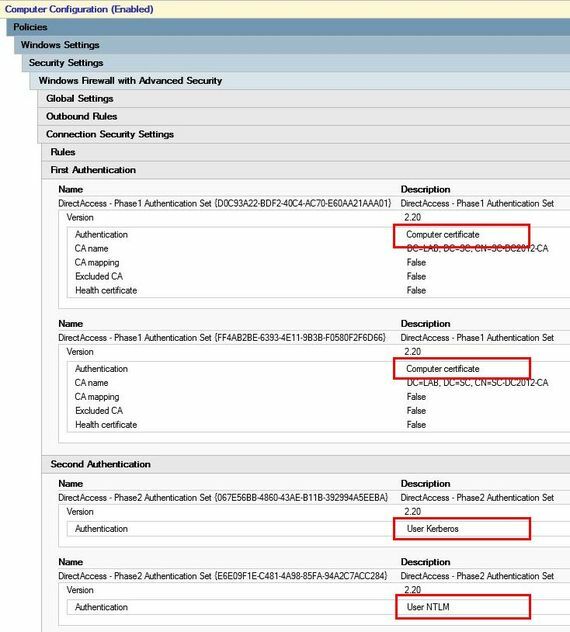 Windows Firewall must be enabled both on your DirectAccess Server and on your Clients. On the clients, I recommend you enforce firewall both for Private and Guest networks. 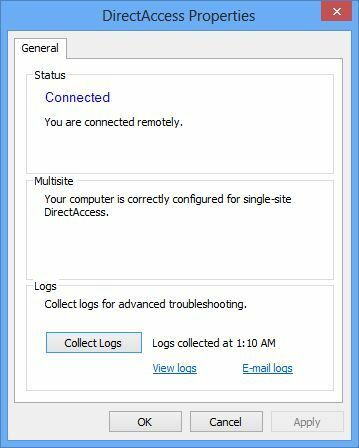 On the DirectAccess server, network interface to check depends on your architecture. 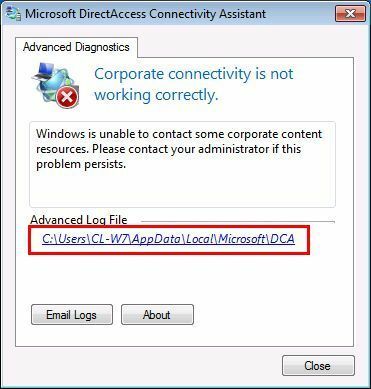 You must enable windows Firewall on the network interface where DirectAccess connections arrive. 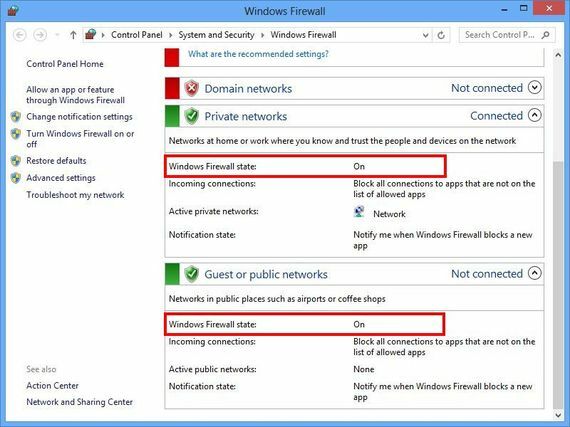 So be careful: Often, windows firewall is disabled especially on domain networks. 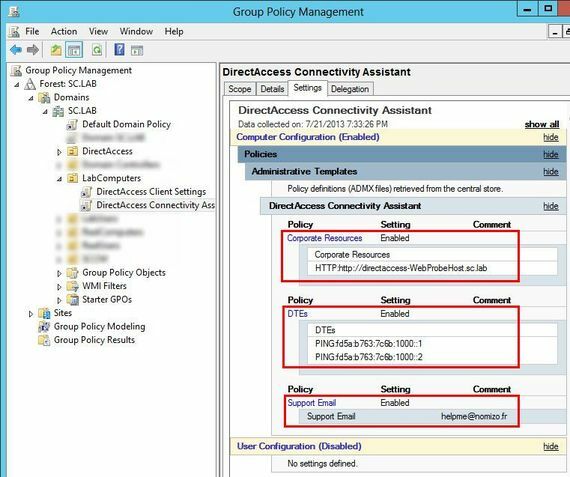 If needed, you can create a GPO to enforce firewall for your server and/or your clients. Here is my GPO to enable the firewall on my DirectAccess Server. 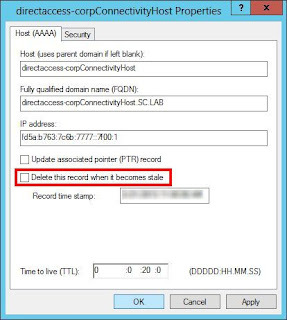 Setup Wizard automatically creates several DNS records. However, depending on you DNS scavenging settings (automatic DNS cleanup), records can be removed and It seems that directAccess never recreate them. I recommend to disable the option "Delete this record when it becomes stale" for records concerning DirectAccess (you need to enabled the advanced mode in the view menu). Here is my own configuration. 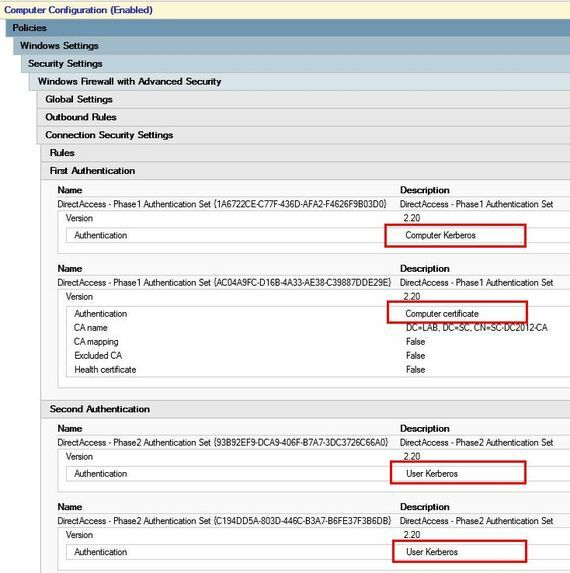 To simplify configuration, I used alias (CNAME) records. 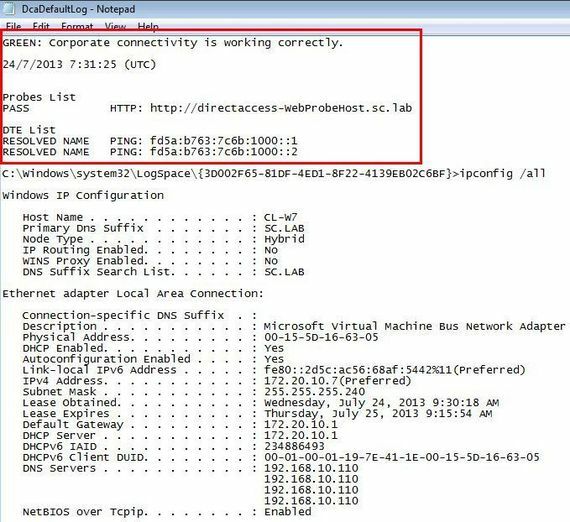 To get the IPv6 address of the directaccess-corpConnectivityHost, you can search in the "DirectAccess Client Settings" GPO (Administrative Templates > Network/Network Connectivity Status Indicator). 2. 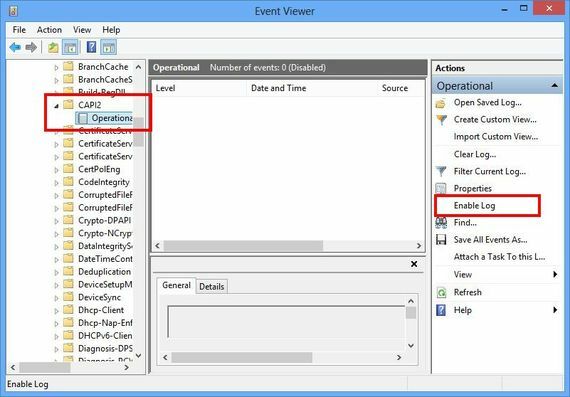 Make sure that the DirectAccess GPO is correctly applied with the gpresult.exe tool. 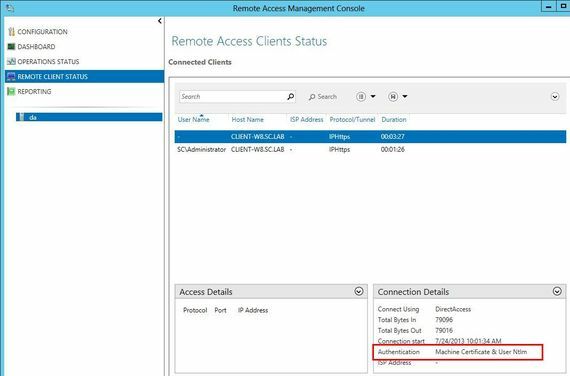 Compare time and settings with your GPO to ensure you get all the latest settings from your DC. If you have trouble to contact a DC see the chapter concerning NLS. 3. Get-DnsClientNrptPolicy: that cmdlet is made to monitor NRPT Policy. 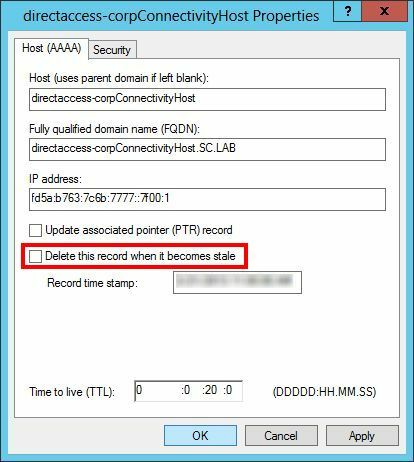 NRPT policy manage DNS resolution that are made in and out DirectAccess Tunnel. 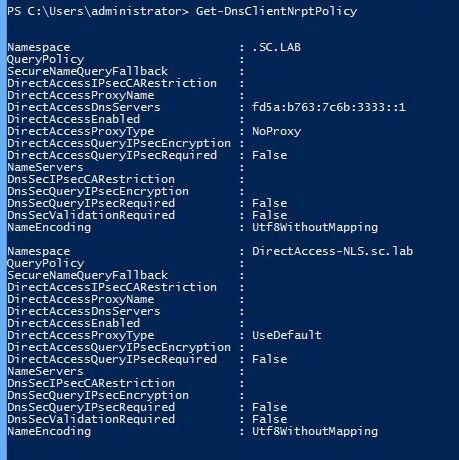 In the following screenshot, NRPT policy tells that name like *.SC.LAB (so my own internal domain) must be solved and joined with the DirectAccess Server (DirectAccessDnsServer settings). However, the name DirectAccess-NLS.sc.lab must be solved normally. 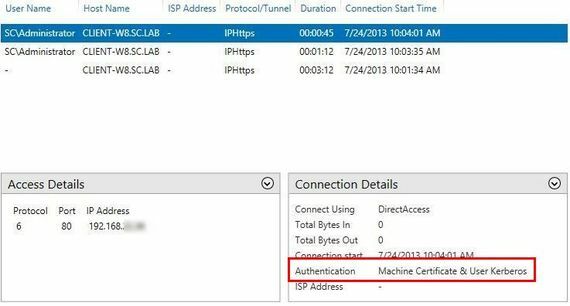 Important point: If you try to contact a device directly with its IP address, that IP address will never be solved with DNS and NRPT policy. 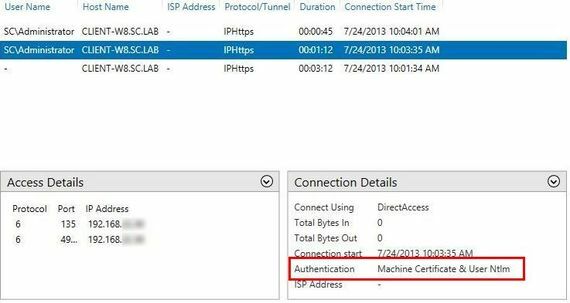 As a consequence your client will try to join that IP address directly on the Internet and not within DirectAccess on your corporate network unless you configure your client to send all connections (Internet and Corporate) in the DirectAccess Tunnel. 4. 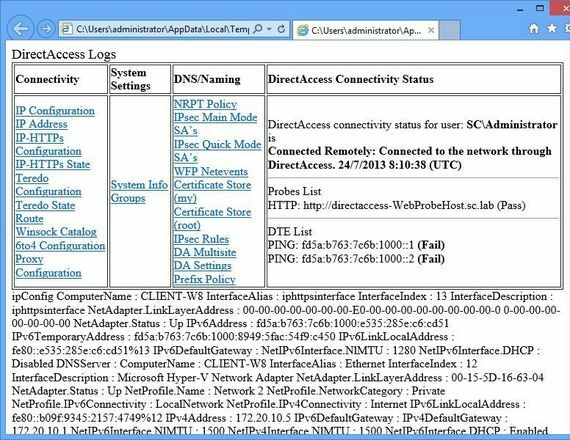 Get-NCSIPolicyConfiguration: that cmdlet provide information about the Web Probe Host that is used by DirectAccess client computers to verify connectivity to the internal network. 5. 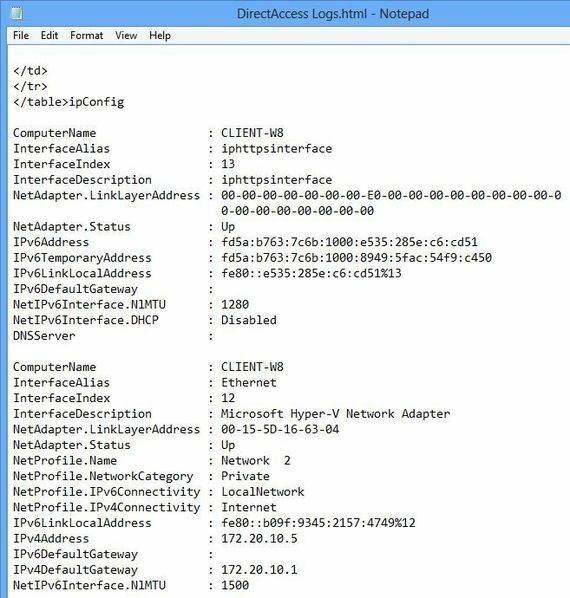 Get-NetIPHttpsConfiguration: that cmdlet provide information about the DirectAccess IPHTTPS connection. Your Client is correctly configured !?! 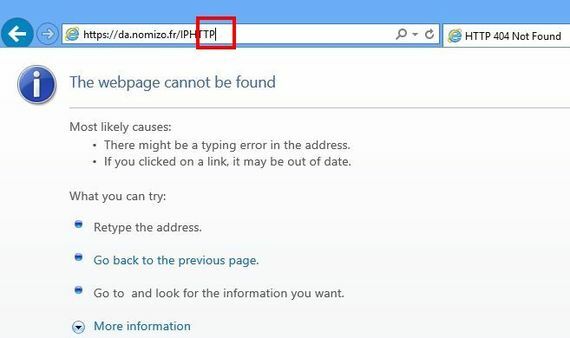 So let's check the IP-HTTPS connection. 1. 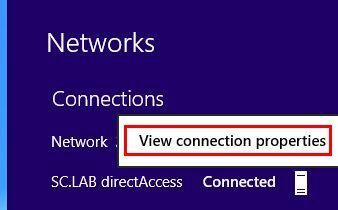 Connect now your client to a normal Internet connection, out of your internal network. 2. In the previous chapter, we used cmdlet Get-NetIPHttpsConfiguration. Type the value of the ServerURL parameter (the public URL of your DirectAccess server) in your web brother BUT remove the last letter. Normally, you get a HTTP 404 Error (that's normal, because we made intentionnaly a mistake on the URL) but your are now sure your DirectAccess is reachable. If you get no response, that means certainly that your DNS is not properly configured or that HTTPS (443/TCP) port is not correctly configured. Check prerequisites described in Part1 - chapter 3 Prepare your Network. 3. Now, type the correct URL. Nothing appears and your brother always wait for the page. That's normal ! 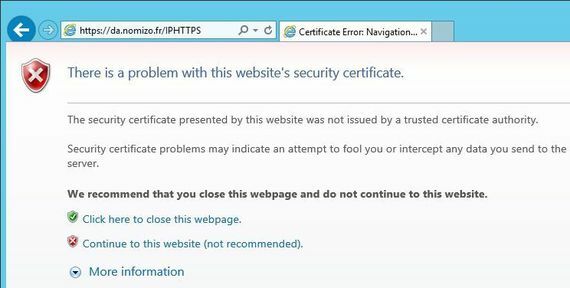 If you get an error message concerning your certificat, this means that your certificat is not correctly trusted by your client. Check the certificate and ensure your certificate is correctly trusted. 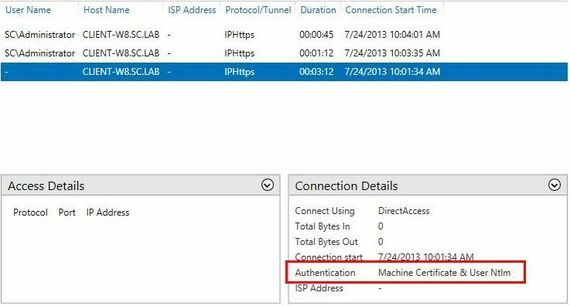 For DirectAccess with IP-HTTPS, you only have to open and forward the HTTPS (443/TCP) port (Part1 - chapter 3 Prepare your Network). 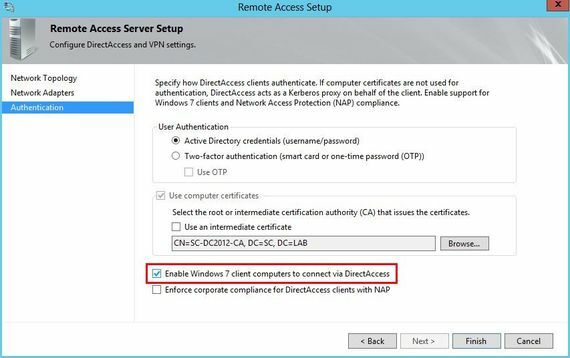 You must allow the DirectAccess server to reach at least the DNS server, the Domain Controller and the NLS server. By default, the NLS server is the DirectAccess server itself. If you move that role to an external HTTPS server, you must open the 443/TCP port from the DirectAccess server to that external NLS server. For more information, see the NLS chapter. The Capi2 service is in charge of certificates validation. 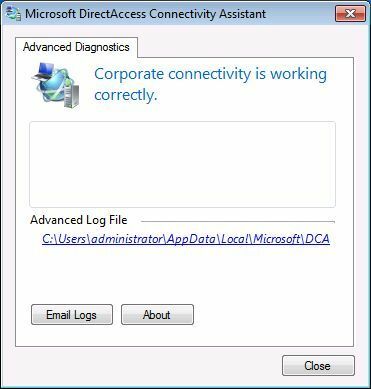 By default, logs for that service are disabled. You need to enable them. Normally, you shoudn't see any error. 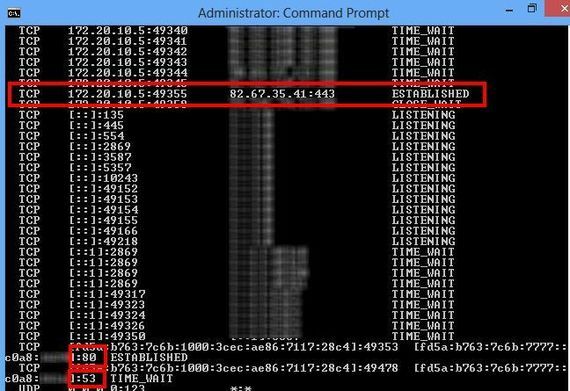 If you have trouble with the Windows Firewall, you can also check logs. 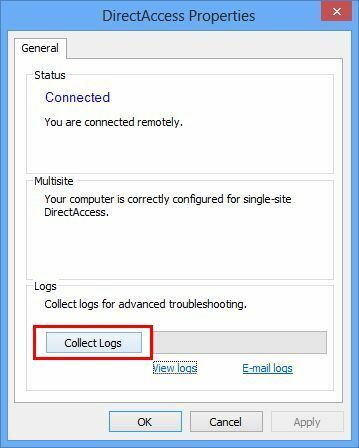 By default logs are disabled. Many issues also concern NLS Server. NLS (for Network Location Server) helps the clients to know if they are on the internal network or out. Indeed, if client is able to contact and authenticate NLS, it considers that it is connected to the internal network. NLS is either the DirectAccess server or an https server (called external server). I recommend to plan very carefully operations on NLS. 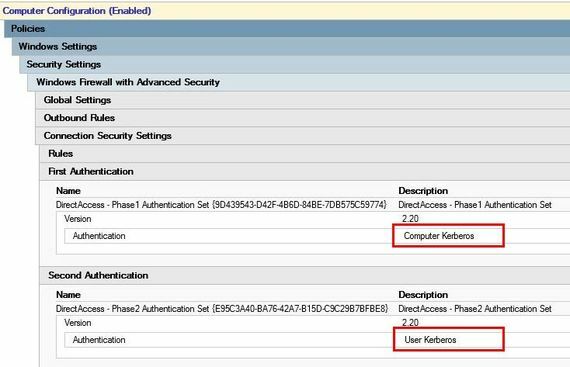 You may experience issues when you udpdate configuration on your DirectAccess server. I recommend you force GPO update with the command line gpupdate /force each time you apply changes. You will so ensure DirectAccess use right configuration. 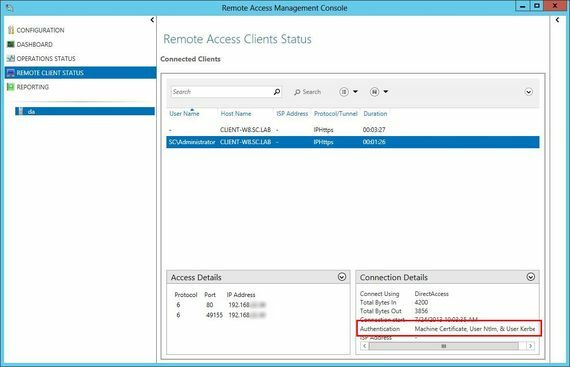 To get more information about error messages, read Monitor the configuration distribution status of the Remote Access server on technet. I forgot to show you how to generate logs in Windows 8. ... its better to open that file with Notepad. 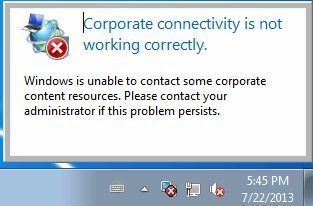 On my mind, the reported information is not really usefull to troubleshoot your connection. The file is not as relevant as in Windows 7 (see next chapter). However, if you have a remote user with troubles, it's easy to ask him to generate that file and to send it to you. 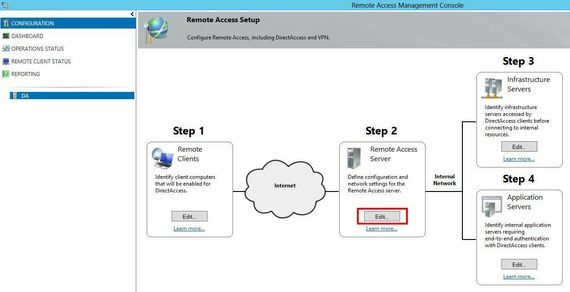 I hope that article helps you to troubleshoot your configuration and to understand how DirectAccess works. 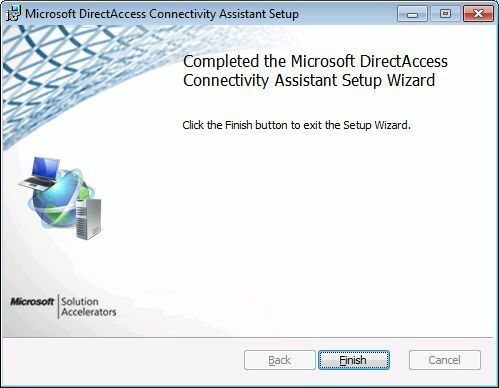 In the next (bonus) article, I will provide you some feedback about how to configure DirectAccess for Windows 7.